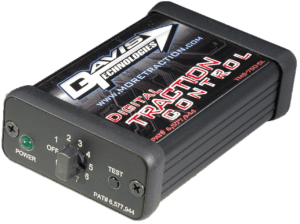 Traction Control is what we do! Building on our industry leading line of Traction Control systems, the new line of "TMS" units, released Jan. 2011 are faster, smarter and more tunable than ever before. These new units react every cylinder, as opposed to every 1/10th of a second on the older units, making them much smoother and more effective, for even better lap times and tire life! While similar in appearance to our older units, these systems are like nothing we have made before! These units are designed to work with ignition boxes triggered with a distributor or crank trigger. Compatible with most common ignitions on the market today. Simple three wire connection makes these units very easy to hook up and easily remove, even with the engine running, to keep your advantage your secret. These units are designed to work with HEI (stock type) ignitions. 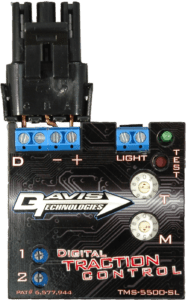 Compatible with both stock and aftermarket HEI modules. Simple three wire connection makes these units very easy to hook up and easily remove, even with the engine running, to keep your advantage your secret. 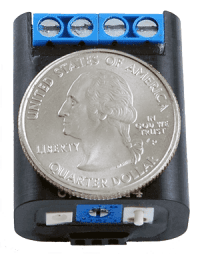 These units are designed to work with Points Magneto ignitions, as well as Electronic Points (Mel's) ingnitions. Compatible with both stock and modified magnetos, with internal or external coil. Simple one wire connection makes these units very easy to hook up and easily remove, even with the engine running, to keep your advantage your secret.